Leave your pets in good hands! Hello my name is Agnes. I set up Agnes' Pet Sitting Services to offer alternatives to kennels and catteries. Here, we love cuddles, walk and play with cats and dogs in their own homes. 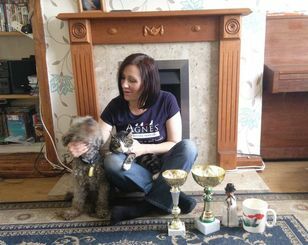 If you are looking for an enthusiastic, considerate, experienced Oldbury pet sitter, Agnes' Pet Sitting Services is your best choice! Whatever suits you best, we're here to provide it.